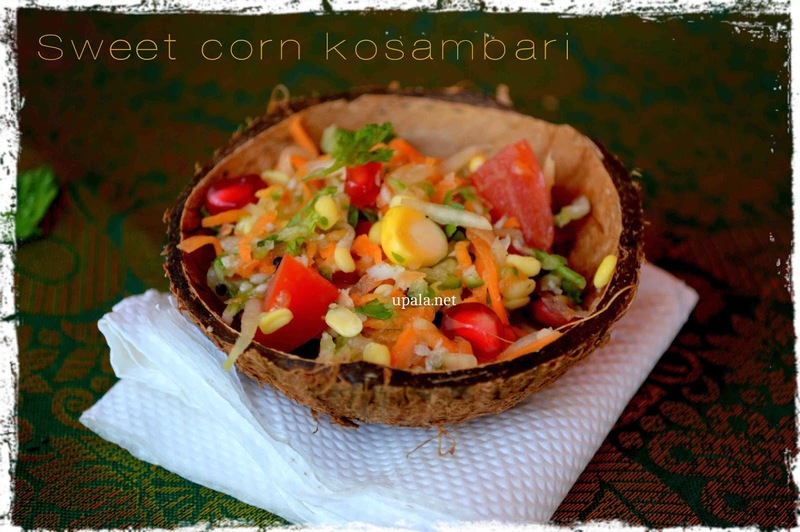 Kosambari/Kosumalli is a traditional and healthy salad prepared for Lunch menu. 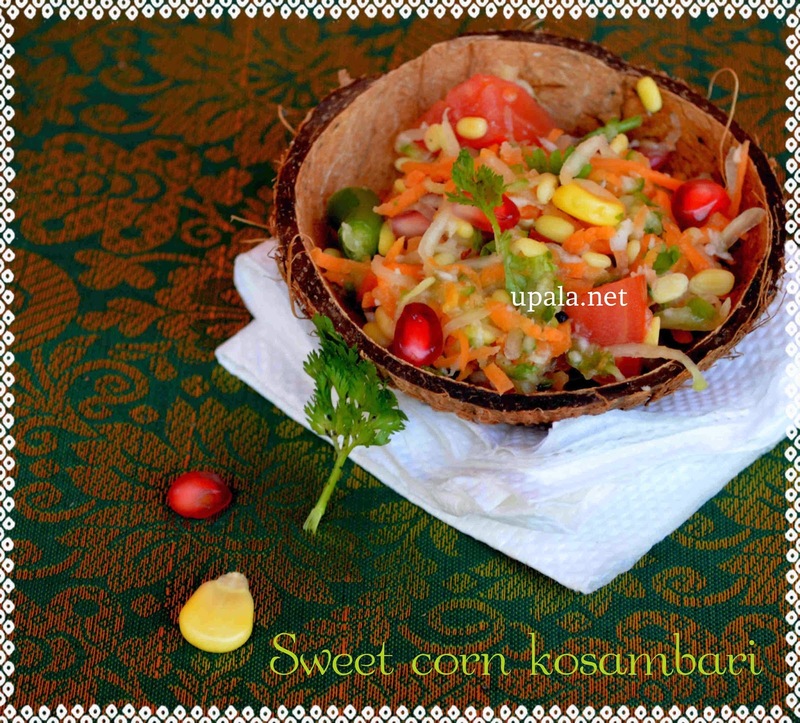 I have tried this traditional recipe with a twist of adding sweet corn kernels. It came out so well and became kids favourite. 1) Wash and Soak Moong dal for half an hour, In case you are soaking in hot water it will take less time. 2) Drain water from moong dal. 3) Mix all ingredients given under "Ingredients" with soaked moong dal. 4) Finally heat oil in a kadai and splutter mustard seeds. Add the mustard seeds to mixed ingredients. 5) Mix them well and kosumalli is ready to be served. 1) In case you are serving this salad little late, don't add grated coconut and lime juice and make sure to refrigerate it. Add it while serving and mix well before serving.